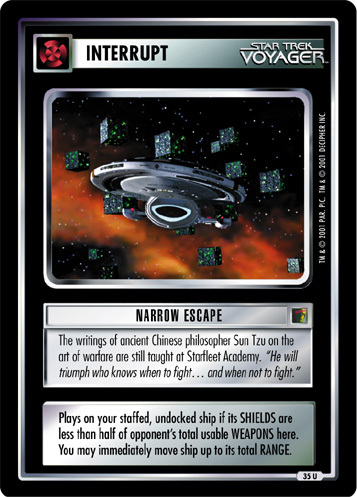 The writings of ancient Chinese philosopher Sun Tzu on the art of warfare are still taught at Starfleet Academy. "He will triumph who knows when to fight... and when not to fight." 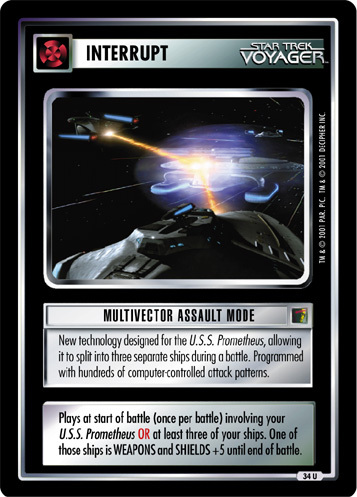 Plays on your staffed, undocked ship if its SHIELDS are less than half of opponent's total usable WEAPONS here. 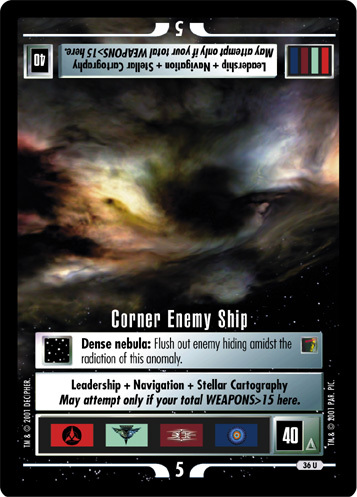 You may immediately move ship up to its total RANGE.